The amount of natural sand is decreasing. And because of government's limitation on sand quarrying, the advanced and eco-friendly machine-made sand will absolutely replace the natural sand. Pingxiang Yangmeiling Building Material Co., Ltd, as an influential aggregate manufacturer, estimated the market and decided to invest a machine-made production line. After inspections and investigations, the company chose ZENITH and purchased a set of VU Aggregate Optimization System. 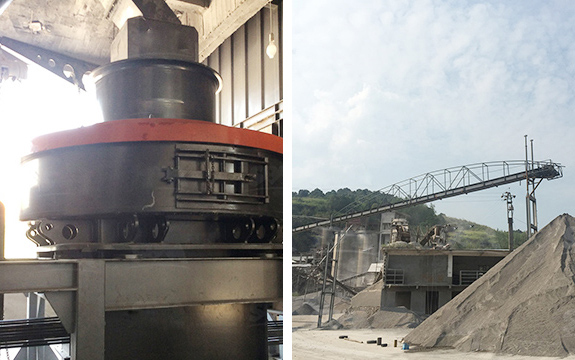 After the production line was put into operation, the machine-made sand produced has satisfying granularity and excellent quality, meeting the aggregate demands in local markets perfectly. What should be mentioned is that because the customer's building material plant and cement plant were at the same area, the production base of machine-made sand seemed limited. In light of this, ZENITH's engineers reasonably reused the obsolete 4-floor concrete framework and designed the production line, helping the customer save expenditures. Every index of VU sand meets the standards like GB/T14684 and JGJ52. In real operation, the fineness can be controlled from 2.0 to 3.5 and the powder content can be adjusted from 3% to 15%. In view of the increasing demand of high quality sand in building material market, ZENITH spent 5 years on the development of VU Aggregate Optimization System in the special aggregate optimization experimental area. It's an excellent machine-made sand production system that overcomes the problems in the sand-making technology including crushing, grinding and separating. ➤ Intensive tower-like structure and fully-enclosed layout covers a small floor area. ➤ Integrating the sand production, shape optimization, control of stone powder and moisture, granularity aggregate and environment protection. ➤Adjustment and optimization of shape, granularity, powder content and fineness can be reached. ➤The machine-made sand can replace the natural sand completely in concrete and sand mortar preparation. Meanwhile, the use of machine-made sand can save the amount of cement and additives. Based on the domestic first brand VSI Sand Making Machine, the new generation of VU Sand Making Crusher firstly realizes the grinding technologies including high-frequency "stone hitting stone" and "material cloud". Compared with VSI Sand Making Crusher, the VU Sand Making Crusher increases the sand rate and fine sand rate by over 10%. 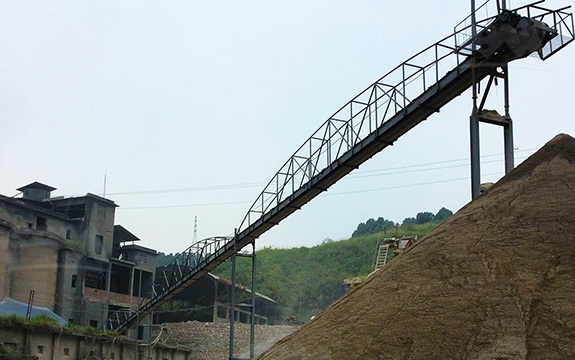 After being crushed and dressed by VU impact crusher, the raw materials are, under the action of fineness control screen and dust collector, classified into 3 kinds --- stone powder, materials awaiting another crushing and finished sand product. Stone powder is stored at the powder bin while the finished sand product is sent into the particle optimization system and finished the whole process after being mixed by wet process. The materials processed by VU system can get high-quality machine-made sand with reasonable granularity, smooth shape and controllable powder content and the high-quality dry stone powder. (Application depends on the materials). The application effect of machine-made sand produced by VU120 system on concrete is far better than that of natural sand. For preparation of C20-C60 concrete and other special kinds of concrete, the sand produced by VU system can replace the natural sand absolutely. Meanwhile, it is of high intensity and good application performance and can reduce use amount of cement and additional additives. 1. Our factory is not that big. The concrete frame has been obsolete. Surprisingly, after ZENITH's engineers investigated the site and found the concrete frame, they gave us another scheme which used the frame reliably and cut down our costs. 2. I have heard the VU system before. Now, its operation completely meets my expectations. The shape of machine-made sand is stable and the granularity can be adjusted freely, so when the finished products are sold in market, they appeal much attention. The cooperation is pleasant and after this cooperation, the process of our transformation and upgrading starts to stride forward. Thank ZENITH!